Rated 1 out of 5 by mnf789 from Didn’t work I have a medium blonde hair color according to the chart on the side of the box, and followed the directions, but my hair ended up not having much color at all. Looked more like a platinum grey in some areas, not even a tint of purple. Don’t buy this product. Rated 5 out of 5 by michelleb5989 from I really liked this hair color. It lasted and the smell wasn't overwhelming. I still currently use this everytime i color my hair. Rated 1 out of 5 by Evelyn123 from I want to cry My hair is now gateraid yellow with some green and then some silver. I had dark purple roots and light purple hair and when that light purple faded to a white/grey color I got this to use. It somehow completely removed my dark purple roots which were close to black and left a bright neon green yellow color and the rest is like pale gateraid yellow. I used 2 boxes and I don't know if they were filled with bleach or what. How does a light purple color remove dark almost black purple and leave yellow? If I used actual bleach I doubt it would've lifted as well as this made it lift. It looks so gross and I want to cry. I'm just so upset and they didn't post my other comment after days of review for it not meeting guidelines. I didn't swear it anything so I'm not sure if you want to hide bad reviews or not. Never buy this, please, for your own sake. Rated 1 out of 5 by lewis483903 from Sweet Lavendar Dreams - Waste of Time & Money! What a waste of time and money! I used this on my daughters hair which is a natural dark blonde that has never been dyed before and NOTHING HAPPENED! Not even a tinge of color and her natural hair color was perfect for this (it was the exact natural color in which they note "front of box result". NOTHING!! I will never purchase Garnier again! Rated 5 out of 5 by MargieAvila from My Color Wish Came True! I'm in love with my Garnier Color sensation Vox Box I received from #INFLUENSTER! 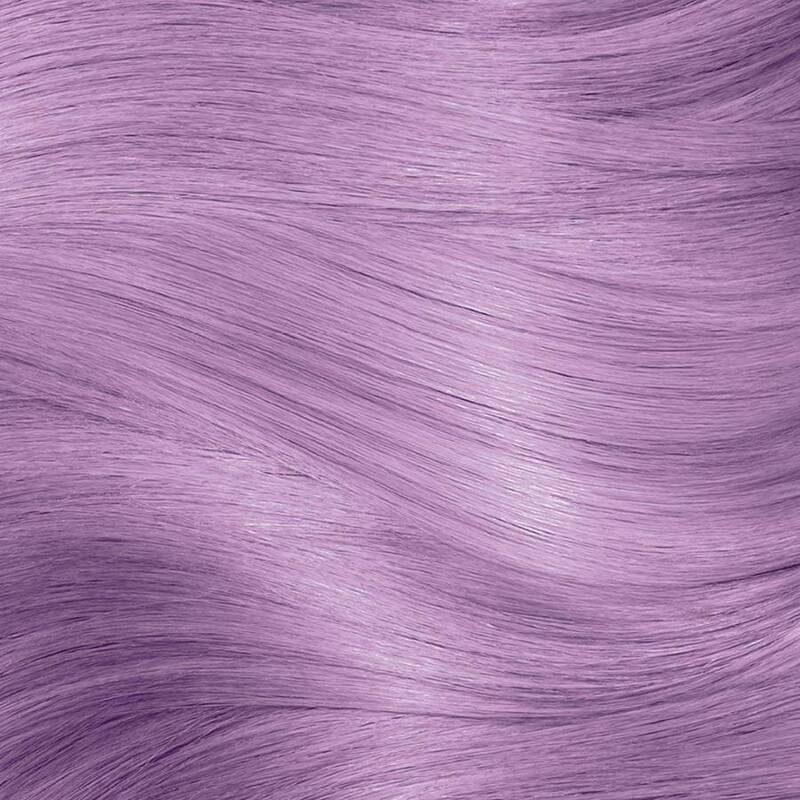 It was the exact color I've been fantasizing about for quite a while, Sweet Lavender Dreams also known as 8.21 IRIDESCENT PURPLE AND I CAN’T RECOMMEND IT HIGH ENOUGH. I received this product free for testing purposes only. 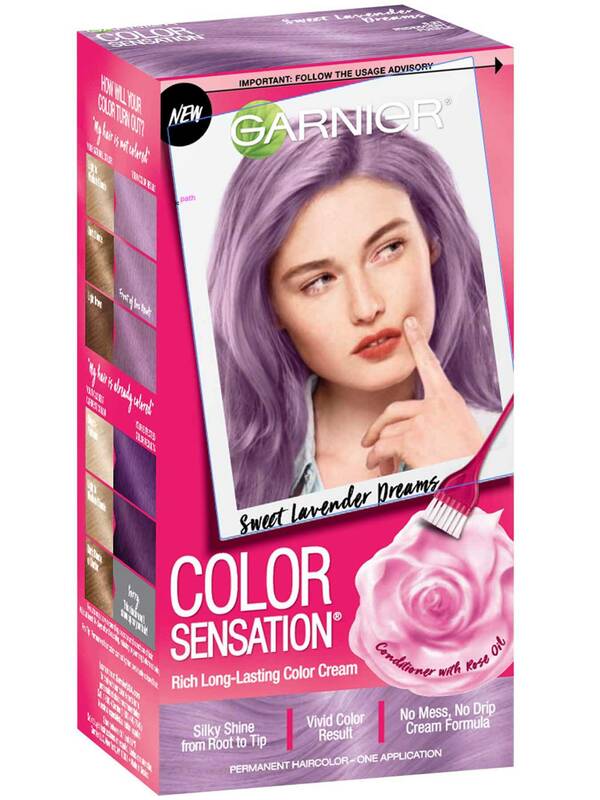 Rated 5 out of 5 by jaggedprincess from I had been wanting to color my hair a shade of purple for over a year and low and behold Influenster answered my prayers with the Garnier Color Sensation Voxbox in Sweet Lavender Dreams! I used it as highlighter AND I LOVE IT!!! Great color and shine and lasting. Rated 4 out of 5 by jessicarf7ee from I received the Sweet Lavender Dreams shade for free from Influester for review purposes. For me the results where OK, not as much as I would like them to be but close to the box's shade-results guide on the side of the box [not like the picture on the front]. I had it applied on a beauty salon because I wanted a balayage effect done with it. As my hair is dyed dirty blonde with blonde highlights the result is hardly visible and in some parts it turned out grayish. I wish it had more pigment. This color shade probably would turn out better on a hair that's dyed platinum blonde or on white hair. In my opinion, for a "boxed" hair dye, it's not bad at all. I would definitively try it again and this time with my hair previously dyed with the correct shade of blonde.